The Scottish Executive is undertaking a consultation on snaring practice in Scotland. This gives effect to the commitment made by Scottish Ministers during the passage of the Nature Conservation (Scotland) Act 2004 to seek views on these matters and also takes account of recent rulings by the European Court of Justice. Views are sought on the attached consultation paper which is accompanied by a Regulatory Impact Assessment (RIA) by 28 February 2007. During Stage3 of the Parliamentary consideration of the Nature Conservation (Scotland) Act 2004 (the 2004 Act) Ministers indicated their intention to bring forward proposals for additional provisions on the use of snares. The 2004 Act includes provision for Ministers to regulate the specification and the use of snares by Order. options for further regulating the technical specifications of permitted snares. This consultation paper applies only to Scotland. nature conservation and biodiversity objectives (including the need to avoid endangering protected species and to ensure compliance with European law). Consultees may wish to refer to the relevance of these and any other factors in their response to this consultation. 2. The use of certain devices, including self-locking snares, to kill or take wild animals is prohibited under section 11 of the Wildlife & Countryside Act 1981 (“the 1981 Act”). However, free-running snares are currently a legal means of capturing a number of animals, such as foxes and rabbits. Snares are not intended for, and should not intentionally be used to kill animals and there is a requirement that they must be checked at least once a day so that target species can be dealt with in the most humane manner possible and any non-target species can be released with a minimum of delay. Unnecessary animal suffering can result when snaring is not carried out according to appropriate procedures. Examples of good snaring practice are available in guidance provided by a number of bodies to land managers. 3. Scottish Ministers have recently put in place further legislative measures to improve the safeguards against potential malpractice and mis-use of snares. The Nature Conservation (Scotland) Act (“the 2004 Act”) introduced measures to enhance the protection afforded to wildlife, including measures to improve the regulation of snaring practice. power to specify technical criteria and definitions and to further detail circumstances in which an offence is to be regarded as having been committed. Amongst other things, this power allows a definition of the term “self-locking” to be set down in legislation, should this be considered appropriate. 5. The content of several recent European Court of Justice ( ECJ) judgements suggest that it would now be appropriate for this consultation to also seek the views of consultees on the question whether all use of snares should be prohibited in Scotland. 6. The United Kingdom is one of only five countries within the European Union which permits the use of snares, the others being Ireland, France, Spain and Belgium. In the other EU countries where snaring is permitted there is a more stringent regulatory regime than is the case in the UK. 7. The United Kingdom is currently responding to an ECJ judgment (c-6/04) in relation to the incomplete transposition of certain aspects of Council Directive 92/43/ EEC on the Conservation of Natural Habitats and of Wild Fauna and Flora (the Habitats Directive). 8. Response to this judgment requires amendment to wildlife and habitat legislation in Scotland. Part of this response will require that Regulation 41 of the Conservation (Natural Habitats &c) Regulations 1994 be amended to include a general prohibition on all indiscriminate means of capture and killing capable of causing the local disappearance of, or serious disturbance to, populations of those species listed under Annex V of the Habitats Directive and will also apply where a licence has been given for the killing and taking of those additionally protected species listed under Annex IV(a). These annexes include species such as the mountain hare and the otter. The amendment which will be brought forward is intended to clarify Scotland’s compliance with these requirements of the Habitats Directive. 9. While the proposed prohibition would not apply to other species such as foxes, the introduction of a general prohibition of indiscriminate means of capture and killing which this may have an impact on European Protected species, raises the question whether a comprehensive ban on snaring should be introduced in Scotland. While the proposed amendment to the Conservation (Natural Habitats &c) Regulations 1994 would be intended to clarify Scotland’s compliance with Article 15 of the Habitats Directive, the current frameworked regulation on snaring may not, in practice, provide adequate safeguards for species which are required to be protected under Article15. 10. The recent ECJ judgement Case221/04 – Commission of the European Communities v Kingdom of Spain is also relevant to consideration of these matters. This case concerned the use of stopped snares for the hunting of foxes in certain regions of Spain. 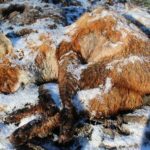 The case was decided in favour of Spain but some elements of the judgement have potential implications for the future use of snares in Scotland. Permits had been awarded for the use of snares against foxes, subject to various conditions including the restriction that the snares could not be set in areas near riverbanks so as to minimise the risk to otters. 11. The ECJ found that “Deliberate harm to protected species of fauna is therefore to be assumed if the harm is the result of an act whereby the perpetrator was aware of the risk to the protected species and also accepted that risk.” The Court further stated that in the circumstances where the snares were subject to permits, the court believed that the hunters were entitled to assume that there had been no breach of the law. The safeguard provided by the use of permits under this section of the Spanish snaring regime does not exist in Scotland as there is no need for those wishing to snare certain target pest species to obtain a licence from the Scottish Executive. 12. The ECJ stated that an important question was whether the Spanish authorities were entitled to assume, when authorising the use of the snares, that otters would not be harmed. After considering the evidence, the Court concluded that it was unlikely that otters would be found in the area covered by the permits. 13. However, the extensive distribution of European Protected Species in Scotland may make it difficult to avoid the risk of “indiscriminate killing” or to identify areas where the use of snares would be unlikely to run the risk of having an impact on these species. 14. A Regulatory Impact Assessment is provided at Annex B. A) Should snaring be banned in Scotland? B) If you think that snaring should be banned, what is the basis for this conclusion? (Consultees may find it helpful to explain their views by reference to the factors identified at paragraph1 above and/or by reference to other factors which they consider to be relevant). C) In the event that snaring was not banned, do you agree that the Executive should implement the amendments to the technical specification of permitted snares identified in AnnexA? D) Do you have any views on alternative amendments to the technical specification of permitted snares? This Annex identifies some possible amendments to the technical specification of permitted snares. Consultees are invited to consider these and offer their views on the benefits or otherwise of the changes suggested. 1. 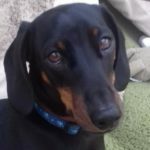 Consider defining the technical differences between the terms “self-locking” and “free-running” and; consider regulating the use of dual purpose snares which have the capacity to operate as self-locking devices. dual purpose, rocking eye or AB snares which are technically described as free-running, have the capacity in their operation to function as self-locking devices. 1.2 Consideration could be given to clarifying the terms “self-locking” and “free-running”, for the purposes of the legislation. A definition could specify that “a snare can only be judged as free-running by testing its action”. 1.3 Additionally, the 2004 Act enables Ministers to ban any type of snare (in addition to illegal self-locking snares) by Order. This could enable a ban on all snares not readily defined as free-running or self-locking, such as dual purpose snares. 2. Specification of identification tags – i.e. that any snare set must have a unique and permanent identification tag which relates to its owner and; that the operator of the snare must supply details of the identification code and the position of the snare to the person authorising its use. 2.1 The underlying principle behind this proposal is that legally-set snares could be traced to the person responsible for setting, maintaining and inspecting the snare, (where the device was found to be illegally set or misused), and that any snare found set without an identifying mark could be removed. A written record of any snare would need to be lodged with the landowner and updated in the event that the snare is moved to a different location, destroyed or stolen. The theft of a snare would be noticed on inspection (within the required 24 hour period) and the written record amended accordingly . 2.2 The Scottish Executive does not consider that such a proposal would present a significant burden to those involved in land management, either in terms of logistics or cost, given that it should already be good practice to maintain a record of the location of snares in order to ensure compliance with existing legislation. The cost of tags would be very small and could be easily fitted. 2.3 There are potential advantages to specifying identification tags or marks on individual snares and ensuring the maintenance of a written record of their location, including practical enforcement. They would also provide a further safeguard to those who set snares in a responsible manner and could help to encourage good practice. 3. Consider whether all snares should be fitted with a crimped stop set in a position appropriate to the target species by creating an offence of setting any snare without the appropriate fitted stop. 3.1 The universal application of stops on snares, which could be adjusted to the girth of the neck of a target species, removes virtually all risk of the snare locking as the stop would restrict the dimension to which the snare can close. This would help prevent injury to non – target species. However, this may mean that a larger proportion of target species would be able to escape. 3.2 The use of stops on all snares could reduce the incidence of severe injury caused by snares catching animals by the incorrect part of the body. However, there are still issues where a snare is caught around the body of a captured animal and tightens to a lesser diameter than its abdominal girth. 4. Regulation of the use of drag-snares – i.e. consider whether all snares should be fixed in order that they cannot be moved from their original location by a trapped animal, by making it an offence to set an unanchored snare capable of being moved from its original location by any animal caught. 4.1 Drag-snares are devices which are not fixed into the ground by a stake but which are often attached to heavy objects such as log. They are most likely to be used in areas of the countryside where it is not practical to attach the snare without the use of a weight. Given that such devices are not fixed it is possible for a trapped animal to drag the entire snare from its original location, perhaps into heavy undergrowth, making inspection more difficult and increasing the likelihood of serious injury to the animal. The use of such snares could therefore be considered contrary to the principles which underpin the improved wildlife protection measures recently introduced by the 2004 Act; particularly that all snares should be inspected at least once every day to ensure that no more than 24 hours elapses between any two sequential inspections and that any animal caught in a snare, whether it is alive or dead, should be released or removed. 1.1 Objectives – The purpose of this consultation is linked to a Ministerial Commitment made during the third stage of the Parliamentary passage of the 2004 Act to consider technical provisions related to the regulation of snaring practice. Since this commitment was made, recent developments in EU case law have also indicated that this consultation should also include a proposal to ban the practice of snaring in relation to all species in Scotland. 1.2 The purpose behind these proposals is to either improve the regulation of snaring in Scotland through the proposed technical amendments or to prohibit the use of snares. 1.3 Any technical changes resulting from this consultation will be implemented via the order making powers created under the 2004 Act. 1.4 As detailed above, this consultation stems from a Ministerial commitment. The 2004 Act amended the Wildlife and Countryside Act 1981 (the 1981 Act) to include certain safeguards in regards the use of snares. The 1981 Act prohibits the use of self-locking snares, however, it is still legal to use free-running snares in relation to target species such as foxes and this form of capture is widely used in land management. The 2004 Act also introduced other safeguards into the 1981 Act to help prevent malpractice and abuse of snares. These safeguards included the introduction of an offence of setting in position or otherwise using a snare which is, on the basis of its design and/or manner in which it is used, calculated to cause unnecessary suffering, a change to the requirement to inspect all snares once a day, a new offence of possessing a self-locking snare and two new offences of being in possession of, and of setting a snare on any land where the permission of the owner or occupier of that land has not been obtained. 1.5 Ministers committed to publish a public consultation on further technical proposals in relation to snaring. These proposals include the specification of stops, identification tags on snares, technical definitions of “self locking” and restrictions on the use of drag snares. 1.6 European Law determines that snaring has to be banned in relation to those species listed under Annex V and where a licence has been issued for the taking and killing of Annex IV (a) species of the Habitats Directive. Recent EU case law involving the United Kingdom and Spain has required that the Executive consult on the possibility of a total ban on snaring in Scotland. 1.7 The rationale behind this consultation is in relation to a Ministerial Commitment to consult on technical aspects of snaring. The rationale behind the proposal to ban snaring is the impact of recent ECJ judgments which have implications on the practice of snaring. 1.8 A UK response to the ongoing infraction relating to the failure to transpose certain aspects of the Habitats Directive includes an amendment to regulation 41 of the Conservation (Natural Habitats &c) Regulations 1994 to prohibit the use of snares in the killing or taking of those species protected by Article 15 of that Directive. Combined with this response, a recent ECJ ruling involving snaring in Spain also seems to indicate that the use of snares in areas where it is known that European Protected Species are, would possibly be an offence under the Habitats Directive. This judgment could have implications on snaring in Scotland. This option would mean a continuation of the current system with no improvements in the regulation of snaring. The current system does contain important safeguards in relation to snaring but it appears that improved regulation through the technical amendments suggested would be beneficial. 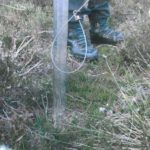 3.1.1 Risks – While the laws around the practice of snaring have been tightened under the Nature Conservation (Scotland) Act 2004, the system could still be abused. 3.1.2 If the system remains unchanged there is a risk of referral to the ECJ for failure to adequately enforce the Habitats Directive. Under the current system there will be a ban on the snaring of Annex V and where taking and killing of Annex IV (a) species has been licensed, but the current system of regulation may not provide adequate safeguard to protect those species. 3.1.3 Following the UK response to ECJ judgment c-6/04, the ban on the snaring of Annex V species will come into force. This will mean that under the current system the snaring of foxes and rabbits will still be legal. However, there is a concern that following the details of ECJ judgment c221/04 – Commission of European Communities v Kingdom of Spain, if a snare was to be laid in an area where a species protected by Article 15 of the Habitats Directive was known to be, it would be an offence. If this viewpoint was to be adopted, it appears that it would not be possible to use snares in considerable areas of Scotland. 3.1.4 This situation regarding the use of snares may create confusion, and the enforcement of the prohibition contained within the Conservation (Natural Habitats &c) Regulations 1994 in parallel with the current system under the Wildlife and Countryside Act 1981 may be difficult. Therefore, the maintenance of the current system as it stands may lead to infraction proceedings and possibly substantial fines. Improved regulation on the use of drag-snares. 3.3 This option will provide improved regulation of snaring in Scotland and may help with the enforcement of the law as it will be possible to identify who laid a snare and remove those without identification tags. The use of stops in an appropriate manner will help reduce the incidence of injury to non-target species. Drag – snares have the potential of making the required daily inspection of snares difficult, if not impossible and their use has an increased likelihood of serious injury to a captured animal. It appears therefore that their use could be seen as contrary to the principles which resulted in the improved wildlife protection provisions brought into force by the 2004 Act. 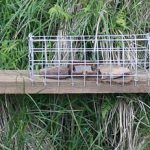 3.3.1 Risks – As with option 1, this option also retains the possibility of infraction proceedings being lodged in Europe against Scotland over the compatibility of its snaring regime with the Habitats Directive. 3.3.2 It is possible that even this improved regulation of snaring may clash with the upcoming prohibition on the use of snaring in relation to those species protected by Article 15 of the Habitats Directive. The above system and the prohibition on snaring which will be contained within the Conservation (Natural Habitats &c) Regulations 1994 may not be enough to ensure that snares are not laid improperly or in areas or places which will threaten these protected species. 3.3.3 If identification tags were to be attached to all snares it is possible that somebody may steal a legally placed snare and lay it illegally in another area leading to confusion in regards enforcement. However, a reporting system which includes notification of any thefts may help reduce this risk. A prohibition of snaring in Scotland would mean that snares could no longer be used to take animals. This would mean that alternative forms of control would have to be adopted to control those animals previously taken by snaring. 3.4.1 Risks – While this option would further clarify Scotland’s compliance with European law, it would remove an important tool in land management, which may create problems for those who regularly use snares such as farmers and game keepers. However, alternative methods of control of those common target species are available. 3.4.2 Those who currently use snares may attempt to use other forms of control that are not legal. If shooting was adopted as an alternative control method there may be an increase in shooting accidents, injured animals and the shooting of non-target species. Land Managers – under option 1 this group would not be affected. Under option 2 this group may have incidental costs to comply with any new regulation such as the universal application of stops on snares, however, it is thought that these costs would be minimal. Some land managers may also have to alter the manner in which they snare to comply with any improved regulation i.e. they may have to stop deploying drag-snares. Under option 3 this group would no longer be able to use snares in pest control and would have to resort to alternative forms of control such as shooting. 4.2 Under option 1 of this consultation, the main benefit would be that of continuity. 4.3 Under option 2 there would be improved regulation of snaring, a reduction in the incidence of capture and injury of non-target species and a similar reduction in the injury of animals caused by drag-snares that have been dragged away. The use of identification tags on snares may also help with the enforcement of the system. 4.4 Under option 3, there would be no future risk of serious injury to animals taken in improperly laid snares. It will also clarify that Scotland is compatible with EU law. 4.5 Under option 1 there would be no further costs beyond what is currently required. 4.6 Under option 2 there may be additional costs required to comply with any further regulation of snaring such as the purchase of stops to put on snares and identification tags. However, it is thought that these costs would be minimal. 4.7 There is no comprehensive research into the financial aspects of snaring so it is not entirely clear what the financial implications of a ban on snaring would be. It is thought there will be a minor effect on businesses selling snares. Those groups who use snares will also be affected as they will have to adopt alternative forms of control and in some cases these may be more expensive or labour intensive. 5.1 It is not thought that the proposals within this consultation will have a substantial negative effect on small businesses. Under option 2, those firms who sell snares may have to adapt to sell a modified product to conform to any new regulation but it is thought that this difference would be minimal and it is offset by the benefits of this increased regulation. Under option 3, those businesses that do use or sell snares will have to stop but as described above, alternative forms of pest control do exist and so it is not thought that this ban will have any substantial negative effect on businesses. This consultation will have no substantial negative effect on competition issues as all those who use/sell snares will be affected effected equally and it will not make it harder for new companies to enter into the market. Options 2 and 3 will increase the regulation on the industry but it is not thought this will result in a significant negative effect to competition. Under option 1, enforcement will continue as it does at present by the police. Under option 2, the introduction of identification tags on all snares will aid enforcement and allow the police to remove those without tags or those that have been laid as drag-snares. A clarification of “free-running” and “self-locking” may also help the enforcement of the laws on snaring. Under option 3, enforcement would continue to be by the police who would be able to remove any snares and prosecute anybody who deploys them. Any offences created as a result of this consultation would be included within the Wildlife and Countryside Act 1981 and as such would be subject to a level 5 fine and/or six months imprisonment.